For more than a minute, a person should not be exposed to sound pressure level exceeding 112 A-weighted decibels (dBA). For more than an hour, a person should not be exposed to sound pressure levels exceeding 94 dBA. For more than eight hours, a person should not be exposed to sound pressure levels exceeding 85 dBA. An overall limit of 85 dBA applies to employees working on factory floors and engaged in manufacturing activities. Meanwhile, employees in the administrative, accounting and planning department should not be exposed to sounds exceeding 65 dBA. In addition, employees working in the design and computer programming department should not be exposed to sounds exceeding 55 dBA. The circular also states that the maximum limit of sound for all department is 115 dBA. Companies should ensure compliance with the latest regulation to mitigate any risk of complaints and of litigation by the government. Penalties for late payment have been reduced to 03 percent per day from the earlier applicable 0.05 percent per day. Several tax rebates have been announced for investments in specific sector, if the investment exceeds a specified amount. The Ministry of Finance will declare the specific amount in the coming weeks. The consumption tax-calculation mechanism has been amended. The decree heralds several other changes, which has been in effect since July 1. The parts of the decree that are dependent on the Ministry of Finance to release official figures will be effective from September 1. Businesses about to enter, or currently operating in Vietnam should ensure that they track regulatory changes and adjust their standard operating procedures accordingly. The average growth in the salary is around US$9.5, and the plan will be submitted to the government to finalize the minimum wage for 2017. The new salary will apply to employees in businesses, unions or cooperatives, cooperatives, cooperative groups, farms, households, individuals and institutions and employees under a labor contract. 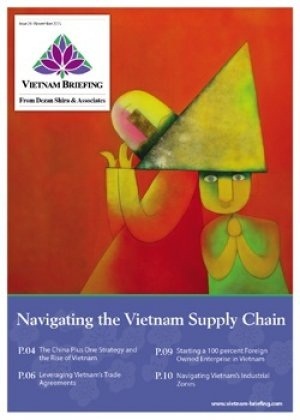 The prospective increase can potentially affect the cost of production for a company in Vietnam. Businesses should start preparing a plan to counter the effect of the increase wage. Businesses that do formulate a successful plan to combat the wage increase can respond to the wage changes in a shorter turn-around-time, once the new wages are implemented.